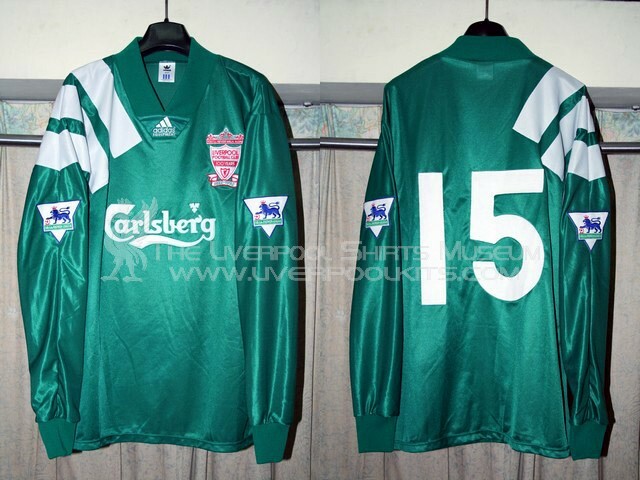 Liverpool 1992-1993 Away Centenary Player Shirt - This number 15 long sleeved shirt belongs to a substittue player in an English Premier League match. 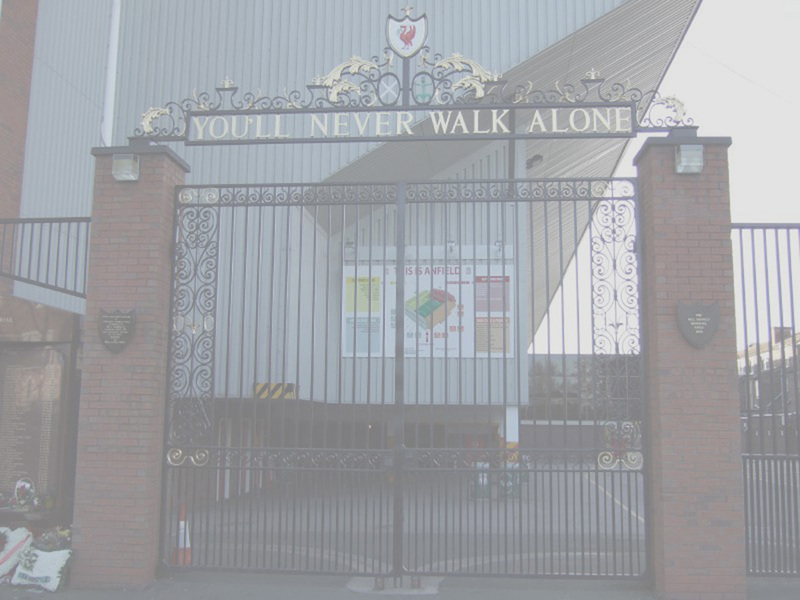 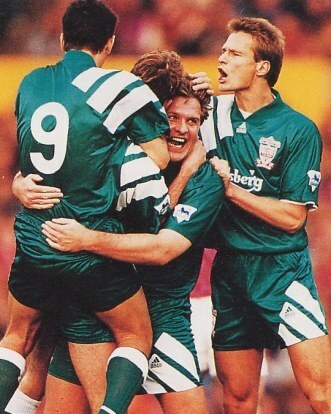 Featured Liverpool Players including Steve McManamann wearing the 1991-1992 centenary away shirt. 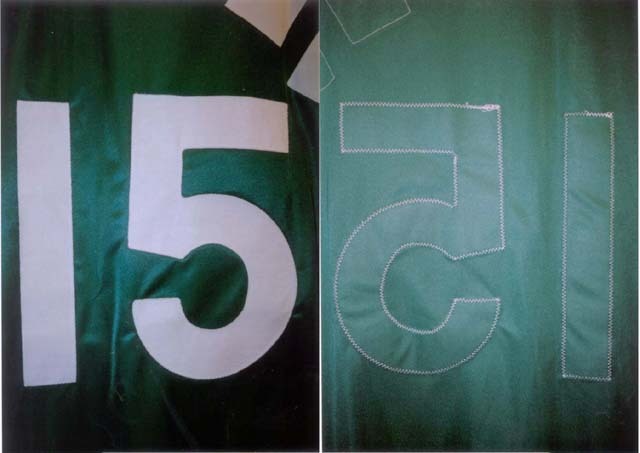 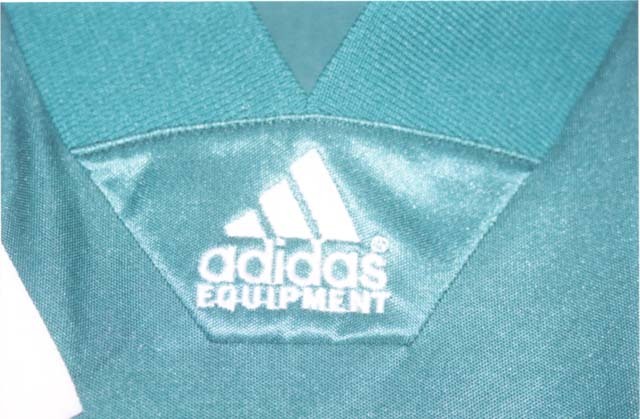 The numbers on the player shirt are machine-stitched cloth material. 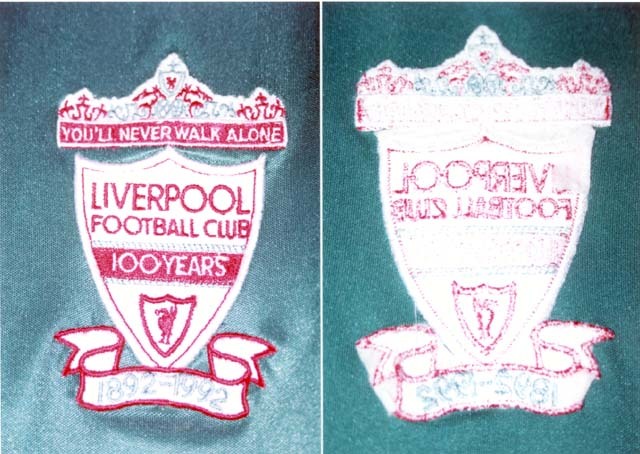 No player names were applied on the shirts in the first Premier League season 1992-1993.